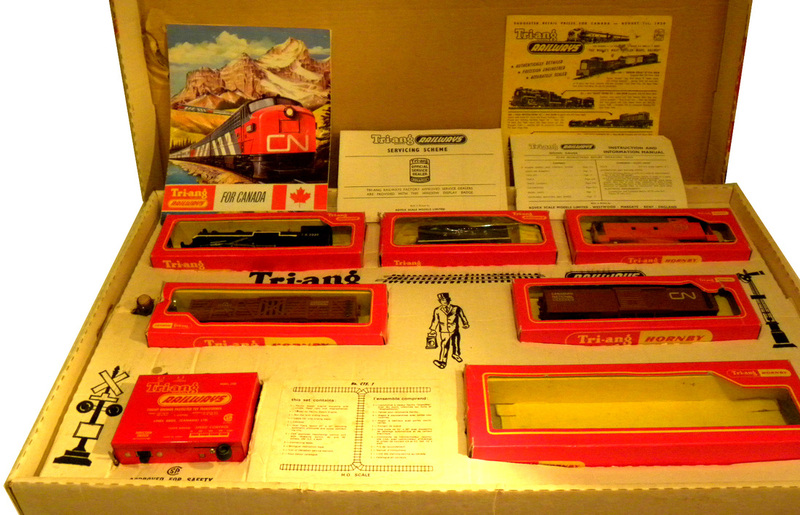 The 1965 issued set was composed of the R.54S 'Hiawatha' Steam Locomotive with Smoke, R.32 Tender, R.136 CN Box Car, R.126 CN Stock Car, R.115 CN Caboose, PA.102C Transformer and R.167 Track Pack. 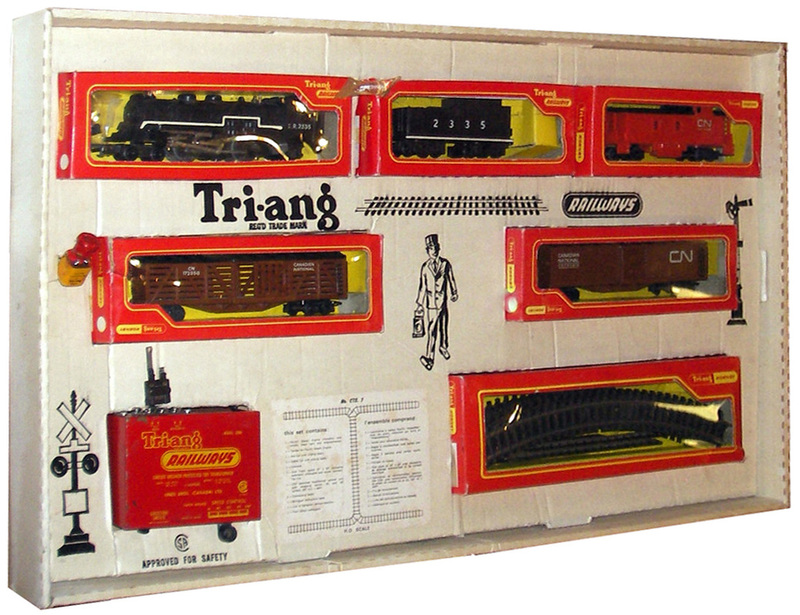 800 sets were planned for production; retailing at $44.95 each. 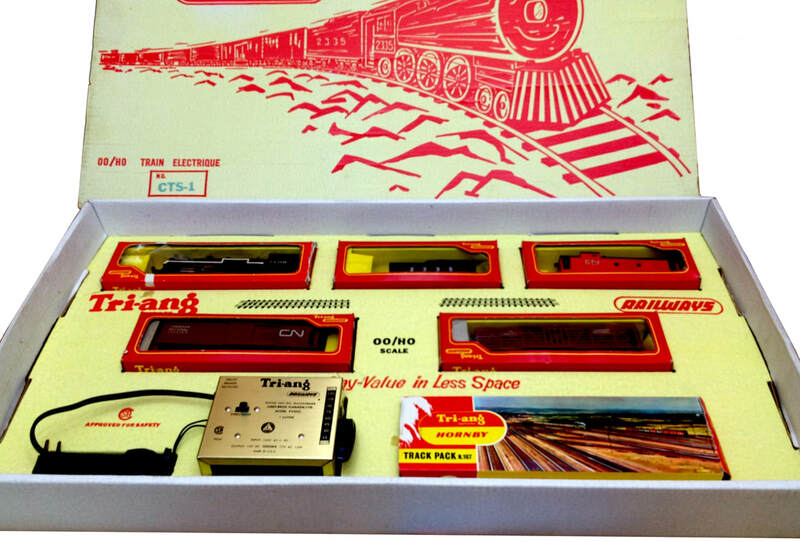 The 1966 style boxed set contained the newly issued Model 2200 Transformer and R.167 Track Pack with the revised window-style box. It was not until later, in 1969, that a yellow liveried version of the Stock Car was introduced but with 'CANADIAN PACIFIC' lettering. 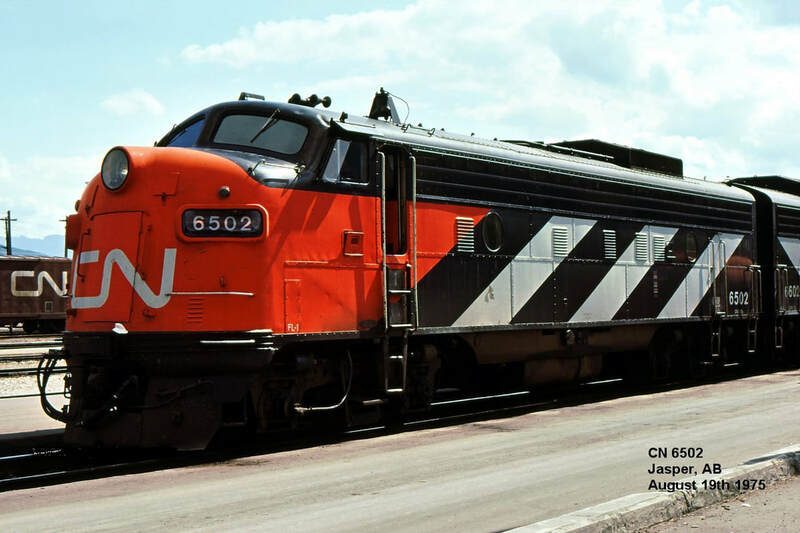 ​Also that year, the inscription on the brown Stock Car was changed to the Canadian National 'CN' spaghetti logo. This advertisement was recently discovered by a well respected Canadian collector whilst researching other aspects of company history at the Toronto Reference Library. 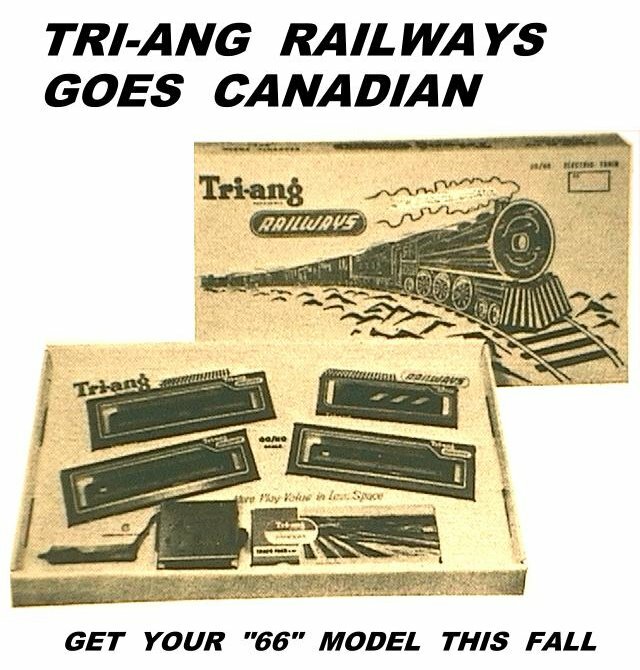 It is from a larger Lines Bros. (Canada) Ltd. advertisement which appeared in the October 1965 issue of 'Toys & Playthings', a Canadian toy trade journal, and which illustrated and/or listed numerous Lines Bros. company products. What is interesting about the advert is that the set has rather hastily been thrown together in order for the photography to be carried out well in advance of the copy deadline for the publication. 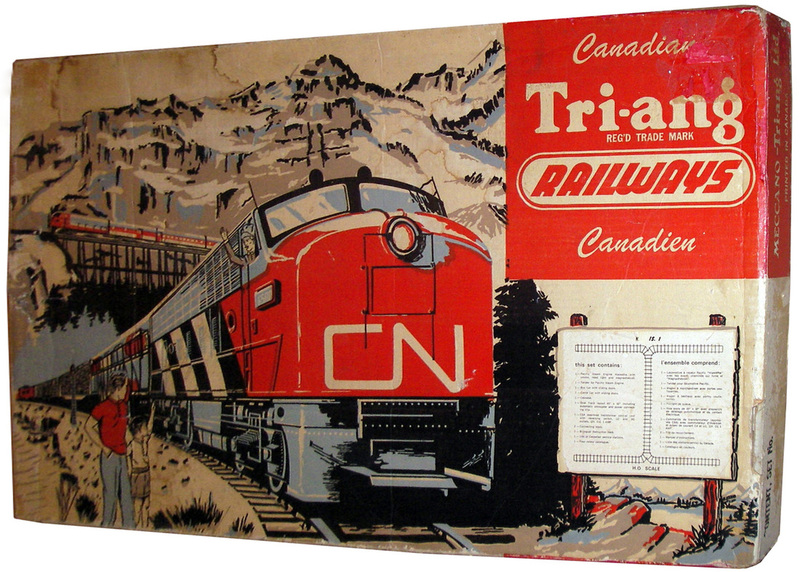 The inner tray layout and content is that of the CTS.2 Set, the box lid is of the 1st Type printing but the slogan 'NOW MADE IN CANADA' has been crudely and not very effectively removed. The issued set was composed of the R.55 CN Diesel Locomotive, R.444 CN Coach, R.446 CN Diner, R.447 CN Baggage Car (all in 'silver & black' livery), PA.102C Transformer and R.167 Track Pack. Retail price was $42.95. 600 sets were planned for production: a figure which initially seems very low for such a prestigious new liveried set. But, one also has to consider that a further 500 CPS 101 Presentation Sets, with identical locomotive and coaches but minus track and transformer (a modern day train pack), were also planned for production; making 1100 CN Diesel Passenger Sets in all. 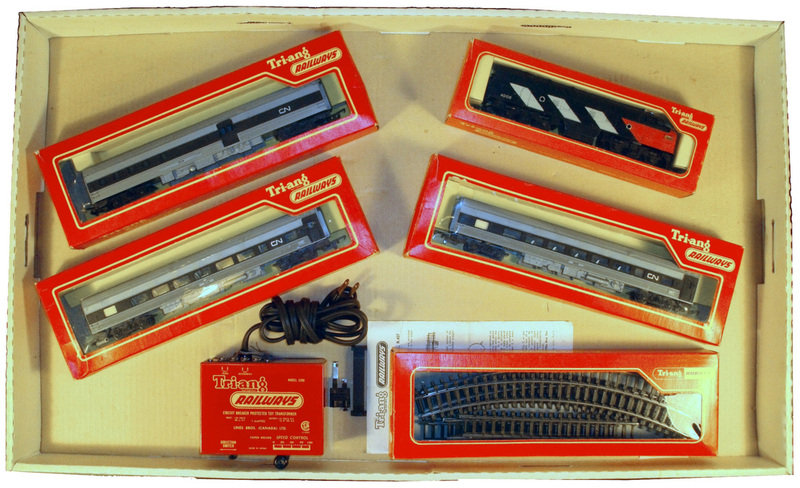 The 1966 issued sets had the new style R.167 Track Pack window box and red Model 2200 Transformer included. The livery of the coaches, whilst described as 'silver & black' was in reality a dark silvery-grey plastic moulding with black painted window stripe and heat printed 'CN' logo in silver. The brighter silver painted versions of the coaches did not appear until three or four years later. On checking the 1965-66 catalogue and price lists it seems surprising that no CN Observation Car was illustrated or available as a solo item. 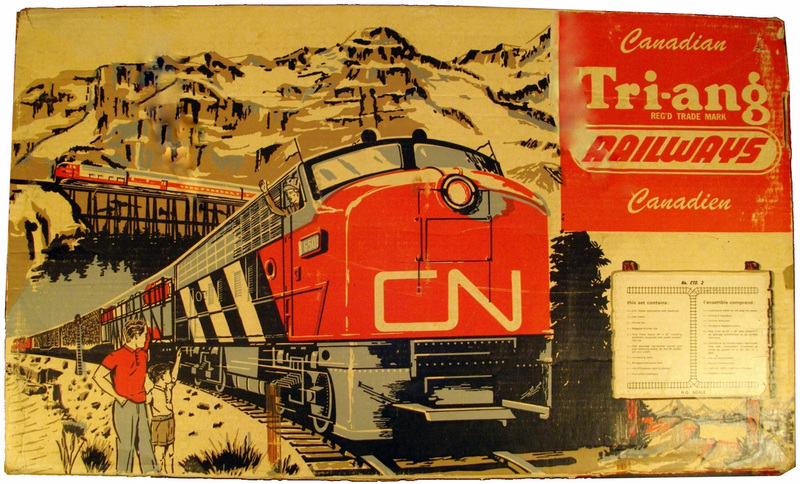 According to the Lines Bros. company records, no CN Observation Cars were made until 1968. In real-life Canadian National did not use Dome Observation Cars in the style of the 2nd Series Transcontinental Coaches. So, Tri-ang were being prototypically correct. The 1937 built Budd “Le Champlain” Observation Car did not have a roof dome and the few other observation/lounge cars in use on CN were more akin to the style of the 1st Series Transcontinental Coaches.